When you sit in the dentist’s chair, you may start to become panicked at the sterile smell and whirring of foreign tools. Even though you know there’s nothing to worry about, you can’t help it. You need to get this dental treatment, but what could get you through the visit without being terrified? Luckily, sedation dentistry in Greenfield has got your back. 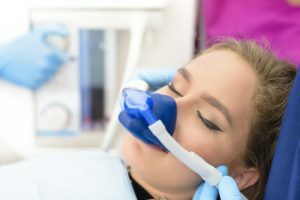 Sedation dentistry allows you to have a relaxed and comfortable visit while getting the oral maintenance that you need. How Does Teeth Whitening in Greenfield Work? Teeth whitening in Greenfield can make your smile noticeably brighter in as little as 30 minutes. You can choose from in-office or at-home treatments. Whichever option you select, you’ll enjoy visible results in a minimum amount of time. There’s no better way to make a great impression in personal, professional, or social surroundings. Comments Off on How Does Teeth Whitening in Greenfield Work? If you have a weak or decayed tooth, you know that it can be frustrating to deal with. You can experience sensitivity and worry about what big problem you’ll have next. The tooth likely doesn’t appear the way you want either. That’s where a dental crown comes to the rescue. By getting a dental crown in Greenfield, you can get a natural, healthy smile again. Now, it may be tempting to just get the crown put on and forget about it, but did you know that you can help determine how long your crown lasts? The choices you make matter when it comes to maintaining your oral health and the condition of your crown. You’re not a morning person. When you wake up in the morning, your frequent headaches are painful. Maybe you also have jaw soreness or tooth pain, and your teeth seem more prone to tooth decay than they should be. It’s possible that you clench or grind your teeth while you sleep. You can’t control what you do while in dreamland, so what can you do about it? You can talk to your family dentist in Greenfield about getting a night guard. It may be just the solution that will turn you into a morning person after all! At first, you might feel suspicious if someone told you that going to the dentist more often is the best way to go to the dentist less often, but it’s true! The more consistent you are with routine dental care, the less major dental work like fillings and crowns you’re likely to need down the road. So, if you’re like most people and want to minimize your time in the dental chair, keep reading for the 5 best reasons to schedule regular checkups with a family dentist in Greenfield. You’ll find out why an ounce of (dental) prevention really is worth a pound of cure! 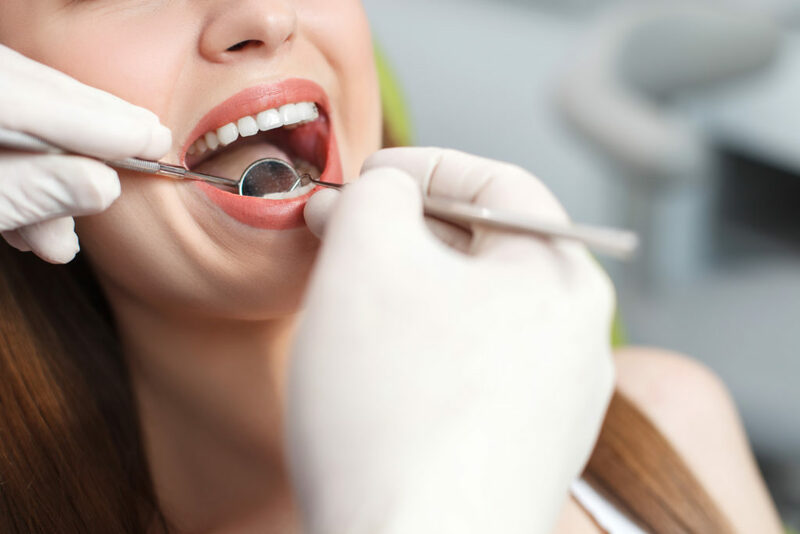 Teeth whitening in Greenfield can improve or even erase stains and discolorations caused by problems like food and drink, tobacco use, disease, and poor dental hygiene. 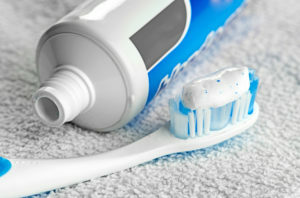 Dentists use prescription whiteners that are far more effective than over-the-counter products. Getting the most benefit from these treatments starts with knowing a little bit about what causes tooth staining in the first place. What Should I Eat After Teeth Whitening in Greenfield? Has this ever happened to you? You’re on your way home from the dentist when you stop at the store to get a bottle of your favorite beverage. You raise the can to your lips with anticipation when you pause. You’ve just had teeth whitening in Greenfield , and the last thing you want is to ruin your bright, bold smile. What should you do? Comments Off on What Should I Eat After Teeth Whitening in Greenfield? Taking care of your children is always your main concern as a parent. Whether it be the food they eat, or the healthcare they receive, you want to make sure they’re getting the best. Dental care should be no different. Keeping up good oral hygiene for your children at a young age will set them up for success for the rest of their lives. 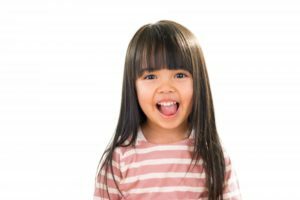 Keep reading to learn why early dental visits and taking care of your loved one’s baby teeth are vital to their health from a trusted dentist in Greenfield. When you look through your bathroom cupboard, it is not uncommon to come across some dental products that you had forgotten about. As a result, it is not surprising that they are past their expiration date. Although you do not want to let them go to waste, you are not sure if they are still safe to use? In some cases, you can still use them, while other times it is best to toss them in the trash. To help you understand which ones to keep, your dentist in Greenfield has the information you need. If you are like many Americans, you probably enjoy starting your morning off with a hot cup of coffee. 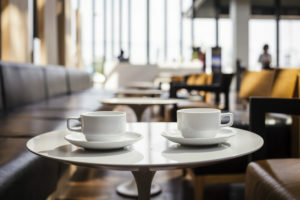 According to a survey commissioned by the National Coffee Association, 64% of American adults reported having a cup of coffee the previous day, the highest level in six years. However, coffee has evolved a lot in the past 20 years. Today, depending on what you order, you may not only be getting a jolt of caffeine with your coffee but a big dose of sugar as well. All that sugar can have serious consequences when it comes to keeping your teeth healthy. Thankfully, a dentist in Greenfield is here with 3 tips on how to order your coffee.